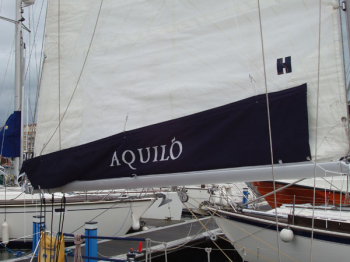 It is extremely important that a mainsail or mizzen sail is protected from ultraviolet light when stored on the boom. A sails life span that has continually been exposed to UV light can reduce the life of the sail by up to 50%. Hyde Sails have developed the perfect sail protection solutions whether a Hooded Stackaway mainsail storage bag or a fitted boom cover, our perfected designs will protect your sail when not in use, therefore maximizing the usable life of a mainsail or mizzen. We make the above variations for all sizes and types of boat. We offer many colour's and specifications to suit your needs.